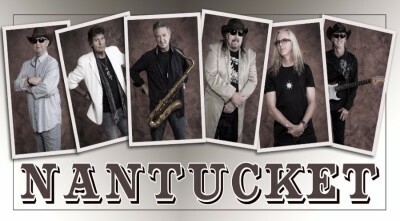 ​​Nantucket was formed in Jacksonville, NC in 1969. Originally known as beach music band Stax of Gold and later Nantucket Sleighride, the original six-member group included Tommy Redd, Larry Uzzell, Mike Uzzell, Eddie Blair, Kenny Soule, and Mark Downing. Initially, Nantucket grew their audience by playing covers throughout the Carolinas. 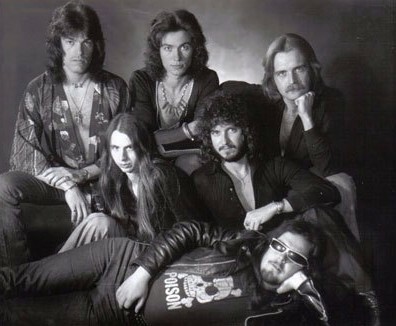 As the band developed a following, they began introducing more and more original songs into their shows and travelling futher up and down the east coast. The band signed with Epic Records in 1977 and released its self-titled album the following year, which featured the hit single "Heartbreaker." An aggressive cross-country tour followed, and Nantucket opened for top acts such as KISS, Styx, Boston, AC/DC, Rush, Journey, and The Doobie Brothers. Their first album sold around 200,000 copies and also made the Billboard charts. In 1979, Nantucket followed up with the album Your Face or Mine. Pee Wee Watson joined Nantucket on bass for the third album. 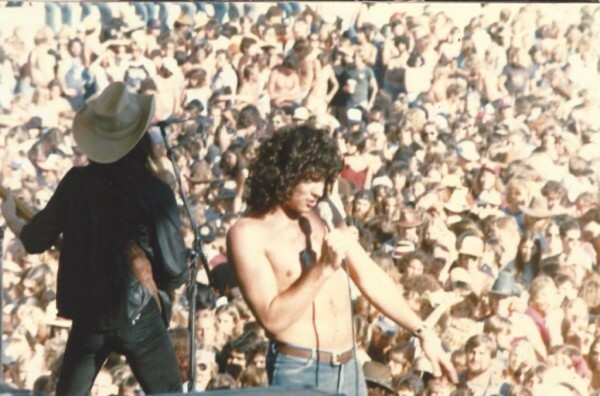 As a tribute to AC/DC lead singer Bon Scott, who died in 1980, Nantucket's Long Way to the Top included a version of the 1975 classic "It’s a Long Way to the Top (If You Wanna Rock 'N' Roll)." 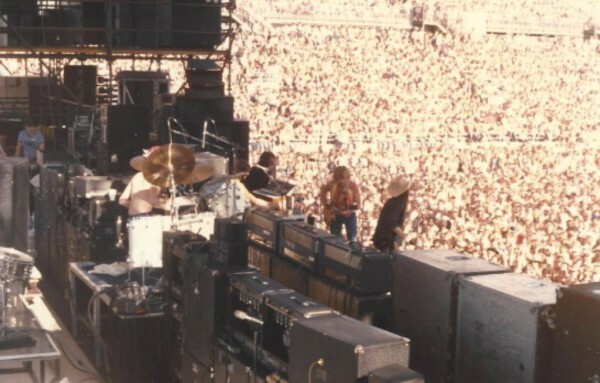 The move landed the band a spot with AC/DC on its Back in Black tour for the summer. Following the band's last two studio albums, which were produced in 1983 and 1985, the group disbanded in 1990. The original members of Nantucket reunited in 1991 to record a live session and released an album called Still Live after All These Years in 1995, featuring old songs along with some newer material. The band continued to play throughout the Carolinas while its members pursued individual side projects. In 2005, The Unreleased "D.C. 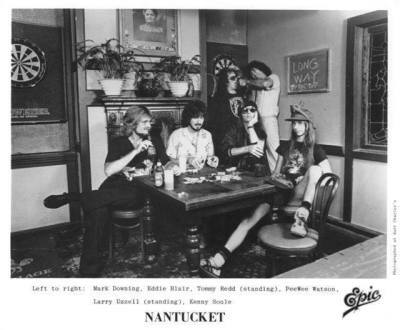 Tapes" was made available with eight new Nantucket songs. In 2011, returning to their beach music roots, Nantucket released the CD "You Need A Ride To Raleigh." The title track was nominated for a CBMA Award in the best song category. On October 11, 2012, Nantucket was inducted into the North Carolina Music Hall of Fame. Nantucket continues to perform and record, and maintains a large and loyal following throughout the southeast. Eddie Blair started playing saxophone as a child, formed his first band with his brothers in the 60s, and has never stopped making music. 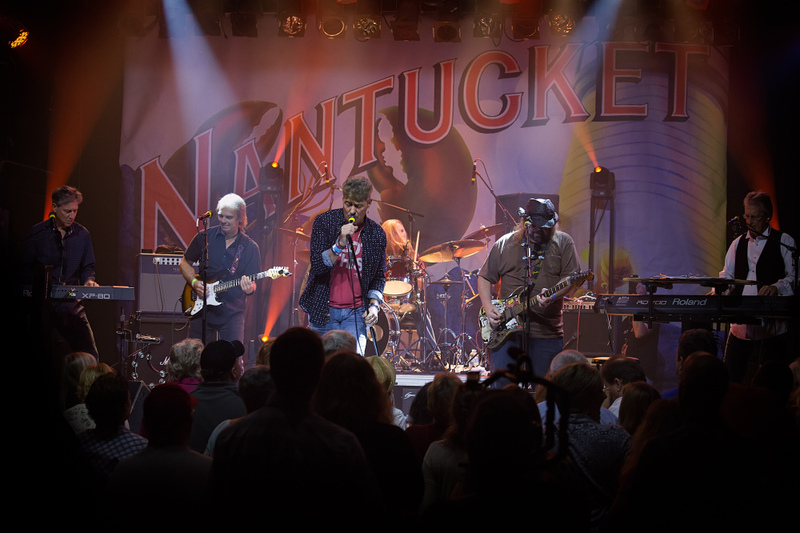 A founding member of the band, Eddie has been playing sax, keyboards and singing lead and backing vocals with Nantucket since 1973. Tommy Redd, a founding member of Nantucket, has been hailed as one of the most gifted songwriters to come out of NC. Nantucket has been the beneficiary of not only Tommy's prolific and maserful writing, but his brilliant guitar playing, vocals and wit as well. Larry Uzzell, founding member of Nantucket, is best known as Nantucket's lead singer/front man. The consummate showman Larry plays multiple instruments including trumpet, harmonica and percussion on stage. Behind the scenes, Larry also plays bass and guitar and provides stage and merchandising support to the band. Guitarist Walter Garland moved to Nashville, TN from Los Angeles in the early 90s. He spent the next 12 years touring with Tanya Tucker and Collin Raye. He has shared the stage with Delbert McClinton, Charlie Daniels, George Jones, Merle Haggard, Buck Owens and many others. His TV credits include multiple appearances on the Tonight Show, the Arsenio Hall Show, The CMA Awards, Music City Tonight and Austin City Limits. Jason began playing drums at age 4, and has been a part of the NC music scene ever since. He toured and recorded with Nantucket in the late 1980s, before going on to play with Cry of Love, Chris Duarte and COC. Jason has been back on the stage with Nantucket since 2006, playing drums and adding his vocals to the mix. Peewee joined Nantucket in 1980, playing bass and adding vocals. He was a member of the lineup that recorded the album "Long Way to the Top," and toured in support of the album's release. Peewee left Nantucket to form PKM with drummer Kenny Soule in the early 80s. Peewee began rehearsals with Nantucket in late 2015, and made his re-debut in February 2016.